Be Brave, Include and Lead the Way! 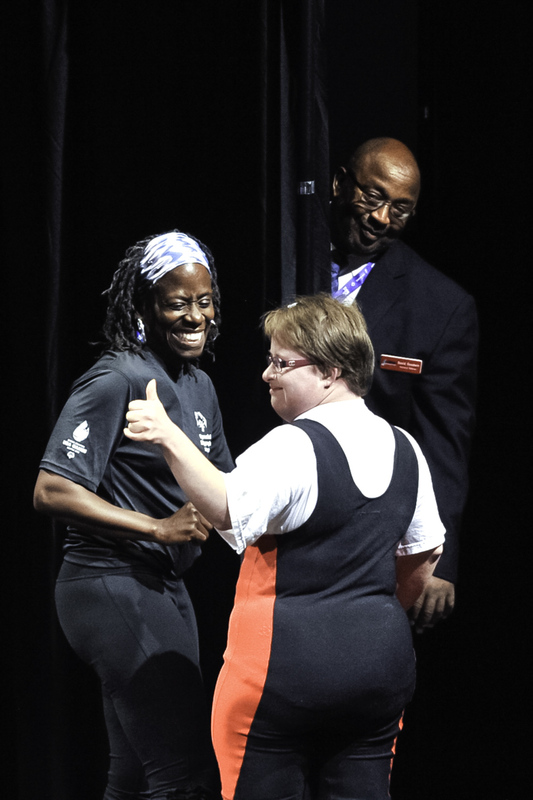 In early July, more than 4,000 athletes and coaches and 15,000 volunteers descended on Seattle to participate in the Special Olympics USA Games. Total attendance across 14 venues was 101,500. 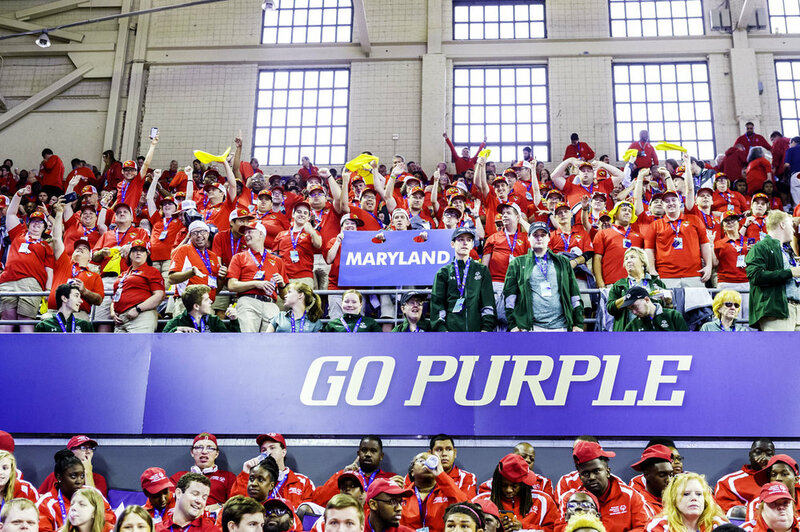 I was very lucky to be one of them as part of Special Olympics Maryland’s media team. I have hesitated to write a story about the Games for several reasons. How can any words describe the magnitude of the experience, the passion among the athletes, and abilities of the intellectually-disabled? How can the joy, camaraderie, friendliness, kindnesses, or all-around “having each other’s back” feelings be translated into words that do them justice? How can I explain what the entire experience has done to me on a personal level: old friendships reaffirmed, new friendships made, that feeling of belonging - not only in the media team or in Team MD athletes, coaches, family and friends but also a belonging among the 101,500 USA Games attendants? This perfectly describes all the athletes at the Games: there were many attempts made and they were all brave! As so many touching and inspirational stories have been told in the media outlets, suffice it to say that witnessing this firsthand was an unforgettable experience. What an incredible example the athletes set for all of us! Another Special Olympics motto that really appeals to me comes to mind: Choose to Include. 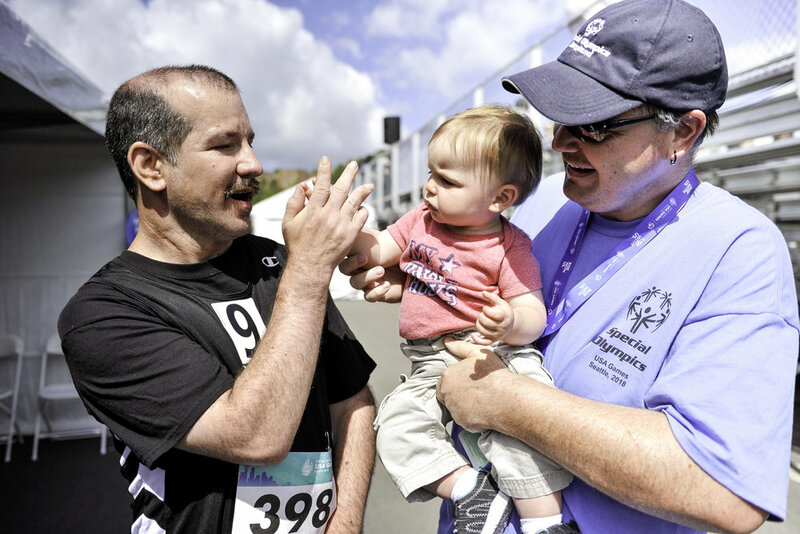 We need to include and welcome people with intellectual disabilities in our society! And I saw that happening at the USA Games on a very large scale. Of course, volunteers, coaches, family, friends, and other supporters were there to love and celebrate the athletes. But everyone else connected with the Games - camera operators and photographers, groundskeepers, vendors, sponsors and students on the campus where the Games took place - actively appreciated and included the Special Olympics community. And many good people of Seattle welcomed the athletes and their supporters with open arms and showed genuine interest in the Games and the people involved. But the athletes themselves are the best model of Choose to Include, extending inclusion not just to their fellow athletes and teammates, but also to all of us cheering them on. They let us into their lives; they shared their brave attempts and accomplishments with us. They gave us their friendship and love. For all of that, I cannot thank the Special Olympics athletes enough. I pledge. To look for the lonely. The isolated. The left out. The challenged. The bullied. I pledge. To overcome the fear of difference. And replace it with the power of inclusion. As I am not an eloquent writer or speaker I’d like to stop my thoughts here and show some photos. Of course I took thousands of them and many show the athletic accomplishments but I just picked a few photos capturing the spirit of my experience. Special Olympic athletes at the Opening Ceremony of the Special Olympics USA Games at University of Washington’s Husky Stadium Alaska Airlines Field in Seattle, Washington on July 1, 2018. Timothy Shriver, Chairman of the Board of Directors of Special Olympics, addresses the crowd during the Opening Ceremony of the USA Games on the Alaska Airlines Field of Washington University’s Husky Stadium in Seattle, Washington on July 1, 2018. Athletes approaching the finish line at the 100 meter dash on the Husky Track of the University of Washington. Runner finishes the 400 meter dash on the Husky Track of the University of Washington. Golf coach helps his athlete stretch and relax at the tee box before her first shot at the Willows Run Golf Club in Redmond, Washington. Tennis coach joins her athlete while he is warming up for his match at the Bill Quillian Tennis Stadium of the University of Washington. 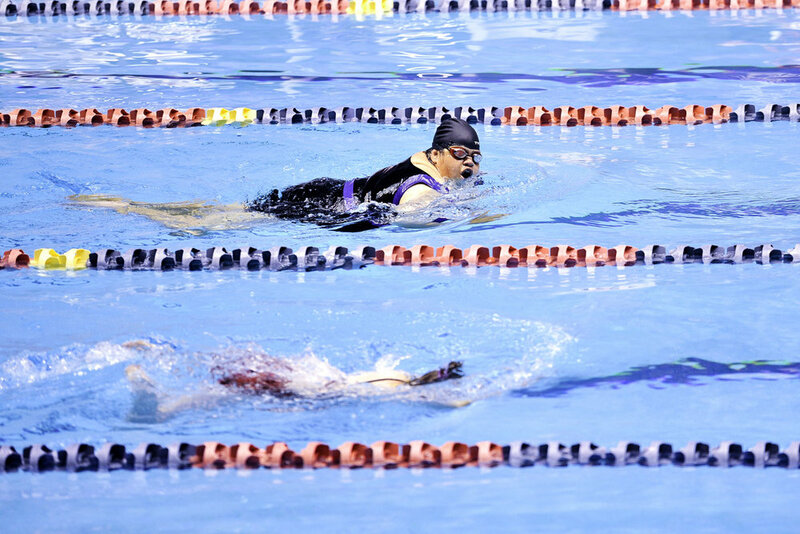 Tight race at the 50 meter breaststroke in the King County Aquatic Center in Seattle, Washington. Team Maryland player attempts to score and Team Florida goalkeeper deflects the ball on the Championship Field of the University of Seattle. Team Maryland and Florida supporters at a very exciting game played on the Championship Field of the University of Seattle. After a fierce battle team Florida won! Team Maryland goalkeeper succesfully stops a goal on the Championship Field of the University of Seattle. Athlete gets a high-five from his nephew who wears a t-shirt with the words: “My Uncle Rocks!” Husky Track University of Washington. Athletes are gathered on the Marv Harshman Court of the University of Washington on July 1, 2018. Cheerleaders performing for all Special Olympics athletes at the Marv Harshman Court of the University of Washington on July 1, 2018. Maryland powerlifter competing at the Meanie Hall for the Performing Arts of the University of Washington. Maryland powerlifter after competing at the Meanie Hall for the Performing Arts of the University of Washington. Maryland bowlers at the bowling competition taking place at Kenmore Lanes in Kenmore, Washington. Maryland’s traditional basketball team at the beginning of a game on the IMA Courts of the University of Washington. Maryland’s traditional basketball player on the IMA Courts of the University of Washington. Maryland’s traditional basketball team at the end of a game on the IMA Courts of the University of Washington! They won!